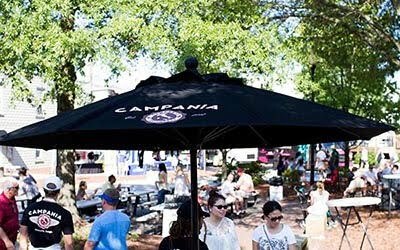 Now authentic Neapolitan pizza and Italian cuisine can be found at your next gathering. Catering on Fire is an entertaining and appetizing addition to an event. We can arrange a perfect menu for your birthday party, wedding, corporate event, rehearsal dinner and more. 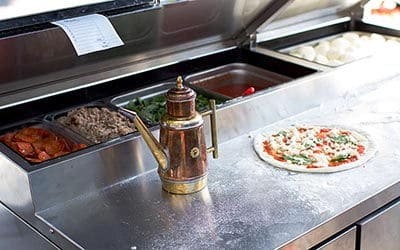 Just like the kitchen in our restaurants, we only use genuine Italian ingredients and cook our pizzas in a traveling, traditional Neapolitan oven. By bringing our signature flavors to your doorstep, we can turn an ordinary party into a memorable and fun experience for everyone. 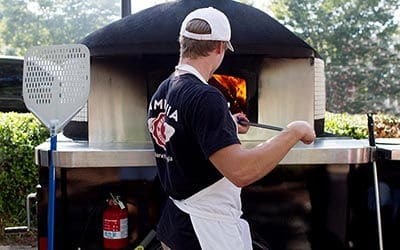 Campania brings the party to your party with unlimited wood-fired pizza in everyone’s favorite variety. 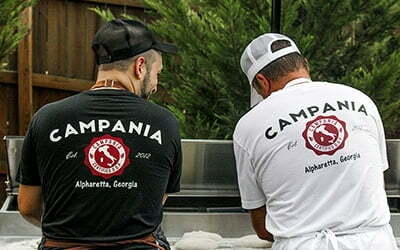 Our Campania team arrives in style with our 6,000 lbs and 1,000 F° Neapolitan pizza oven. 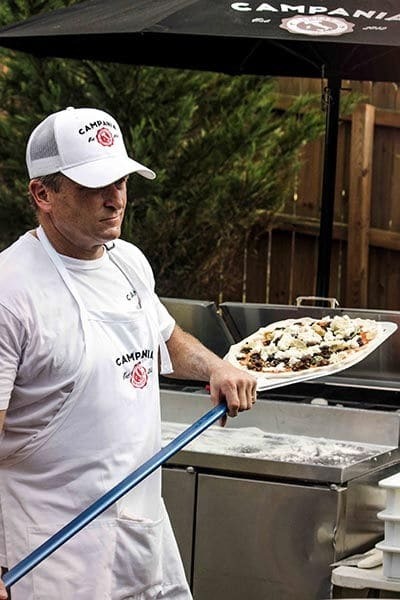 We can arrange a perfect menu for your birthday party, wedding, graduation party, corporate event, rehearsal dinner, and more… Don’t forget to add the perfect compliment to your pizza party with delicious Salads, Antipasto and Pasta dishes! We will cook unlimited pizza for 2 hours, and serve gelato for half an hour. Paper and Plastic products available for additional charge. Beer and wine service are also upon request. Ready to add some crispy, melty, deliciousness to your upcoming event? We can’t wait to fire up the oven and spread the pizza love! Please book 3 weeks in advance. Rates start at just $1500 to “roll the truck”. This price includes UNLIMITED pizzas, soft drinks, and gelato for 50 people. Fuel and labor surcharge applies for events 15+ miles from our Locations.